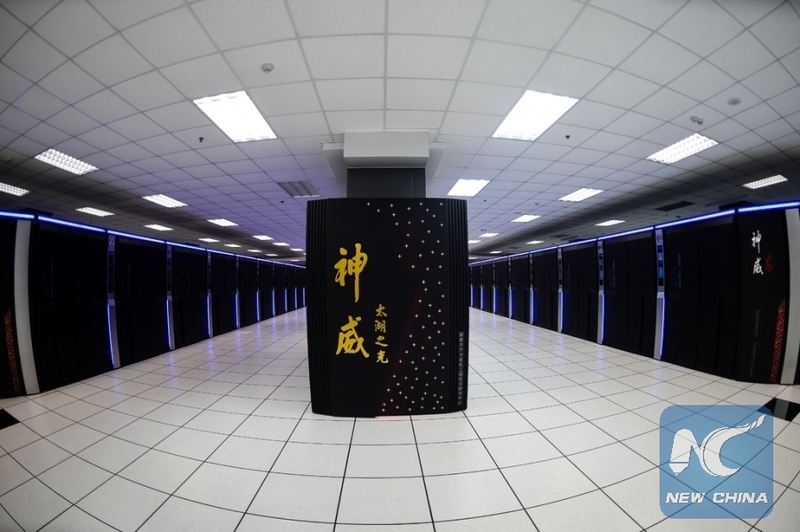 SALT LAKE CITY, the United States, Nov. 19 (Xinhua) -- Is China now becoming a supercomputing power? Judging just by numbers, it looks that way. According to the latest edition of the Top500 list released this week at Salt Lake City, China currently not only hosts the top two fastest supercomputers in the world, but also ties with the United States for first place in the total number of installed systems. The machine sitting on top of the rankings, called Sunway TaihuLight, is especially remarkable in that it's almost exclusively based on technology developed in China, including processors. What's more, it delivers almost the same performance as the next five most powerful systems on the semiannual list combined. However, many experts, especially those from China, have different views. 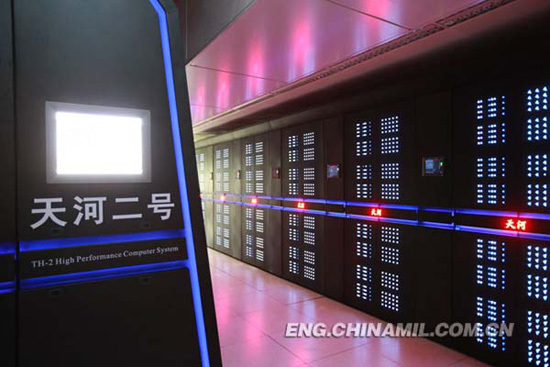 While China is rapidly on the rise on the global supercomputing stage, the country still has a long way to go to become a peer competitor to the United States, they believe. "I was quite impressed with the engineering quality of TaihuLight, different from previous Chinese machines," Professor Satoshi Matsuoka from the Tokyo Institute of Technology tweeted after a close look at the system himself at the National Supercomputing Center in Wuxi, China, in early November. In particular, Satoshi, a renowned supercomputing expert, mentioned of the machine's "excellent" physical design, "aggressive" designs, "impressive" software and application efforts, as well as "no expensive parts." As a result, he concluded that China "now truly rivals U.S., Japan" in the field of high performance computing (HPC). How things have changed! Back in 2001, none of the systems on the Top500 list were installed in China. "It's clear that there has been a lot of investments in this technology if you look at, maybe, a 15-year timeframe from about 2000 on, China is (now) on a very, very competitive stage," Top500 co-author Horst Simon said in an interview with Xinhua. When asked when China will be a "serious challenger" to the United States in supercomputing, Simon, Deputy Director of the U.S. Lawrence Berkeley National Laboratory, answered with confidence: "Oh, already now." The rise of China in the HPC field will have positive implications for the country's national security, especially after last year's surprising move by the U.S government that, citing security concerns, blocked the supply of Intel chips to four Chinese supercomputing research centers, said Zizhong Chen, a supercomputing expert at the University of California, Riverside. "The fact that Chinese have built the fastest supercomputer using their own CPUs and interconnection networks implies China will not have to worry about any U.S. supercomputer chip ban any more," said Chen. It's also worth mentioning that China now has four companies among the top 10 vendors of the list: Lenovo, Sugon, Inspur and Huawei. These companies sold 173 systems in total, accounting for one third of the list. In June 2015, there were only 10 such systems from Chinese vendors. "Chinese manufactures like Lenovo and Huawei are doing well globally," said Jack Dongarra, professor of the University of Tennessee and coauthor of the Top500. "The others not really, just in China which is a big market." Both Sugon and Inspur, however, told Xinhua at the 2016 supercomputing conference at Salt Lake City, that they're now shifting their expansion focus to overseas markets. "To be honest, our international expansion is still in early stages," Cao Zhennan, general manager of the HPC Department at Sugon. "But it's our next step." Of course, the numbers aren't everything. While China has demonstrated its strength in hardware, the country does have its shortcomings, such as software. "Supercomputing is a whole ecosystem, it consists of hardware, software, applications, the education, infrastructure, (efforts) to build next generation of scientists, and also I think a certain readiness in universities, research institutes, companies to engage in this," said Simon of Berkeley Lab. "It's very difficult to do these many different things at one time ... so I think it will take a bit longer (to become a supercomputing power), and in that sense, China still has a number of things to accomplish." However, China's progress in HPC applications did impress the highly respected U.S. expert deeply, who recalled a lack of applications for China's Tianhe-1A in 2010 when the machine became the first Chinese system to take over the top spot of the Top500 list. "When the Taihulight system was announced (this June), there were several application presentations and these are very good application presentations, they (Chinese) told me that a lot of Chinese scientists have now learned much faster how to use in the architecture," Simon said. "So I think things have significantly progressed, and there may be still some other things missing, but it's clear, given that the hardware is there, the applications are there, and the infrastructure is there and getting a lot of support, China has made huge progress towards using supercomputers," he said. On Thursday, one of the applications, named "10M-Core Scalable Fully-Implicit Solver for Nonhydrostatic Atmospheric Dynamics," was awarded the 2016 ACM Gordon Bell Prize, a top honor in supercomputing, at the 2016 supercomputing conference. 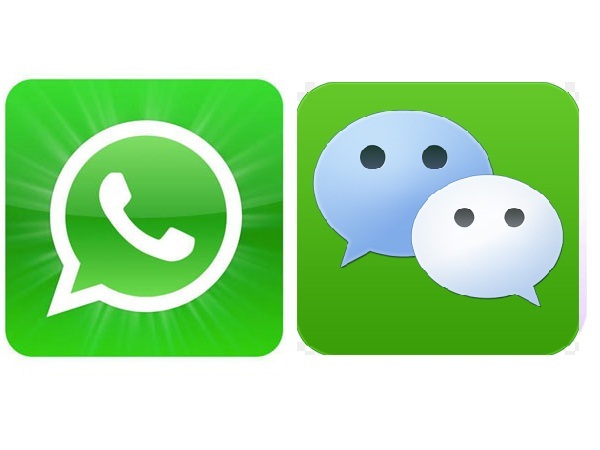 It is the first time a Chinese application has won the award. The most noticeable weakness in China's HPC industry was its heavy dependence on U.S. processors. "China imports a lot of semiconductors. If you look at today, semiconductor is everywhere, in any type of industrial products," Simon said. "So if China has ambitions to grow all the manufacturing of high-end goods, China obviously needs to invest much in semiconductors to have a bigger domestic production of semiconductors. I think that is a big issue." "Without mastering the processor technology, we will never be a supercomputing power," Cao of Sugon said. Liu Jun, Inspur's HPC general manager, stressed he has "a strong sense of crisis" after studying the latest Top500 list. "Most of the U.S. supercomputers are deployed in national laboratories, universities and research institutes, and they have invested a lot in this area and have updated their systems very quickly," said Liu. "But many of our supercomputers are just Internet data centers. In the U.S., they are not considered supercomputers. Universities and research institutes in China need this infrastructure, but our investments for them are small, so much more work needs to be done." "If we are blindly optimistic for these good numbers, the gap between us and the United States will be widened, rather than narrowed, Liu warned.